Good seed and leaf yields. 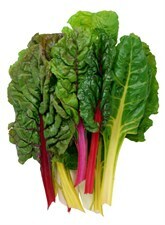 Edible seeds and greens flavor many foods. 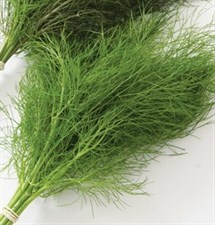 Popular addition to sauces and a must for making pickles. 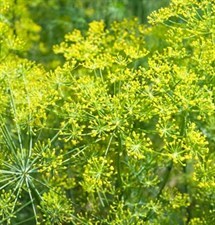 Foliage known as dill weed. Choose organic or nonorganic seed. Organically grown. 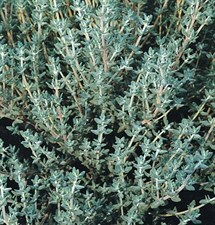 Slender leaves. For fresh uses that demand a delicate, fancy leaf. Mild onion flavor. 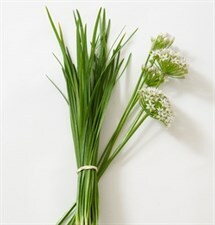 Leaves are a key culinary herb, while the attractive globe-shaped blooms are used as an edible garnish. 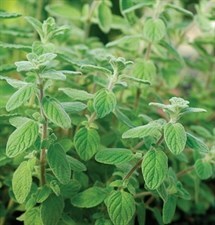 Slightly cupped to flat, 3" leaves with a somewhat spicier flavor than traditional pesto types. 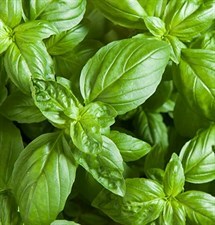 The leaf shape and more open habit make this variety less susceptible to basil downy mildew pressure than typical pesto types. Crop environment should still be managed to reduce conditions favorable to this disease. 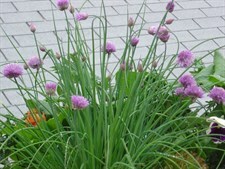 Select organic or nonorganic seeds. 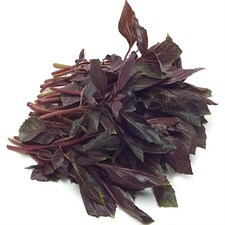 The only purple Genovese-type basil. Large, 2-3", thick, turned-down leaves. 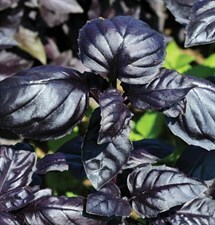 This stunning basil is nearly black in color.